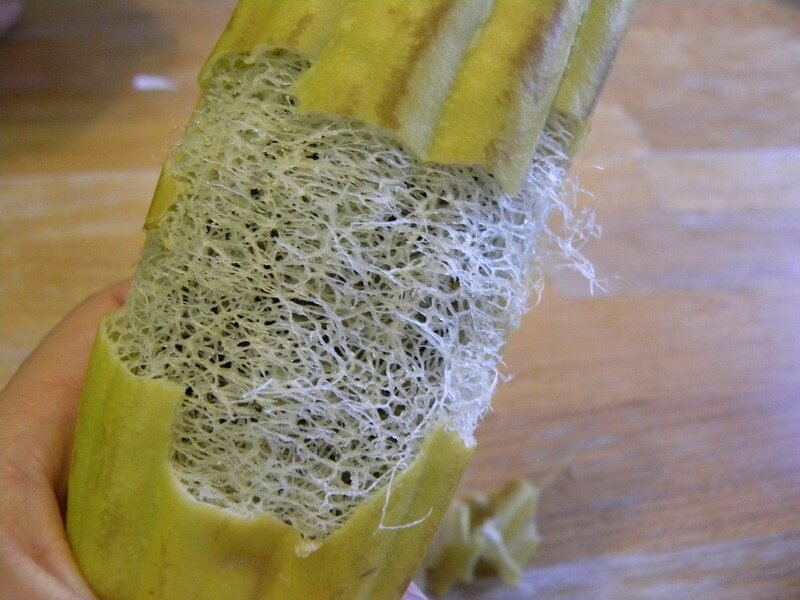 Home » Crafts » Did you Know You Can Grow Your Own Luffas? I know that many of you did not know that you could grow your own luffas! Shocking isn’t it! They are really easy to plant and grow! You just need a place for them to vine. 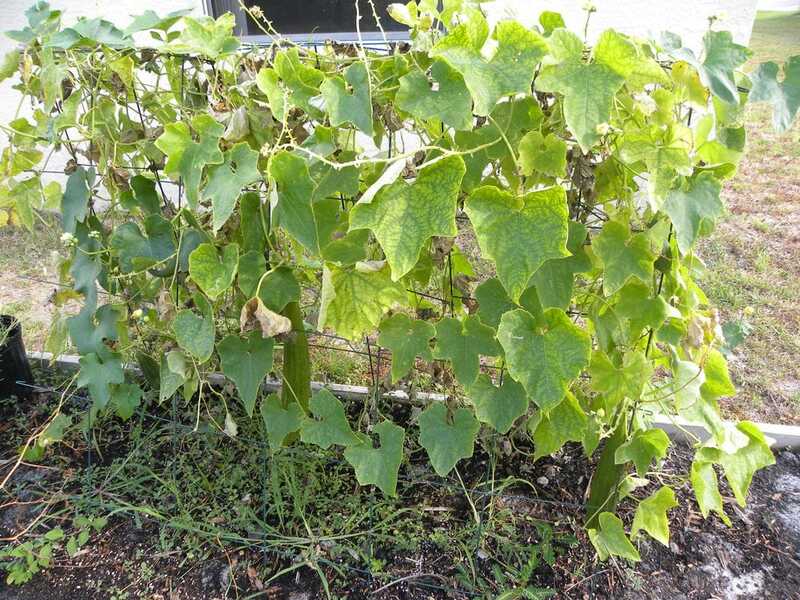 I am going to need a bigger place for them to vine next year because I have vines growing on vines this year. 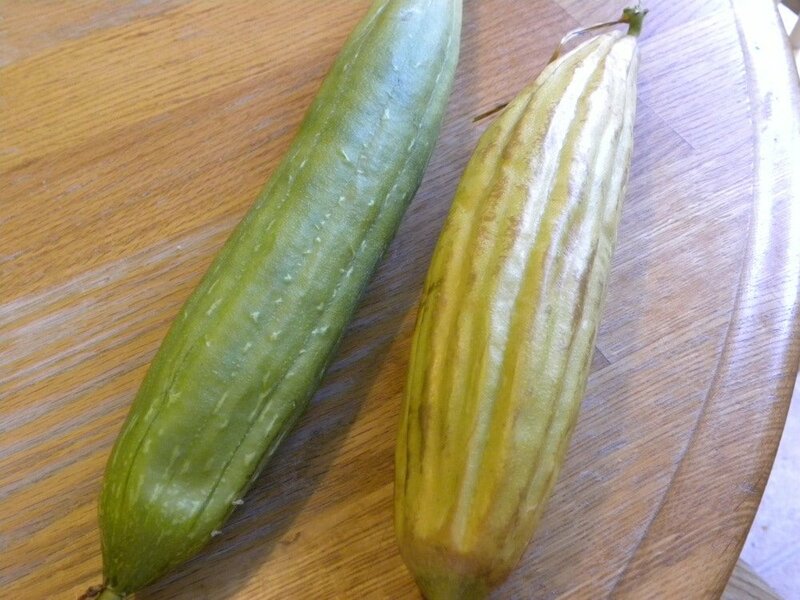 You can order your Luffa seeds from Burpee if you are having a hard time finding them! I found mine at Home Depot with the other seed packets. 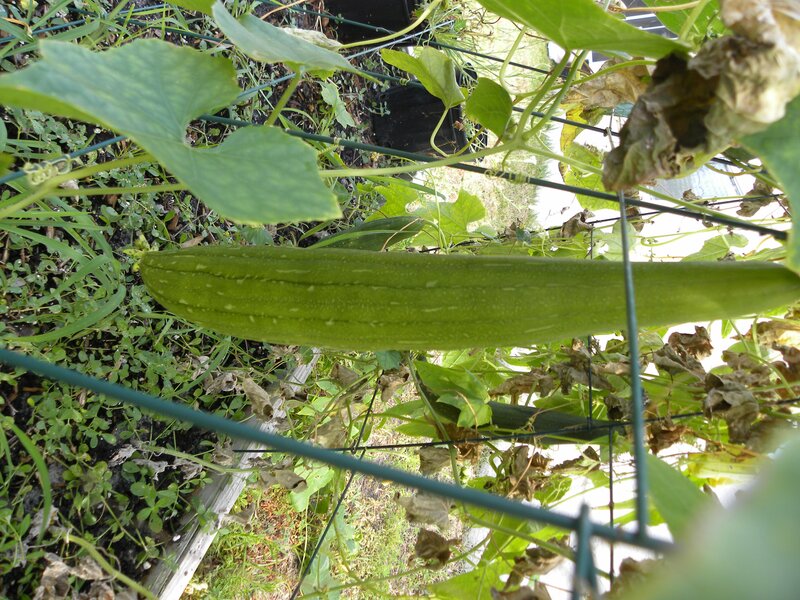 Here is what my Luffa plants look like today, keep in mind, everything else in my garden is dead. It has just been too hot. So, the luffas have been a little neglected. Now, this is what the luffas look like when they are on the vine. 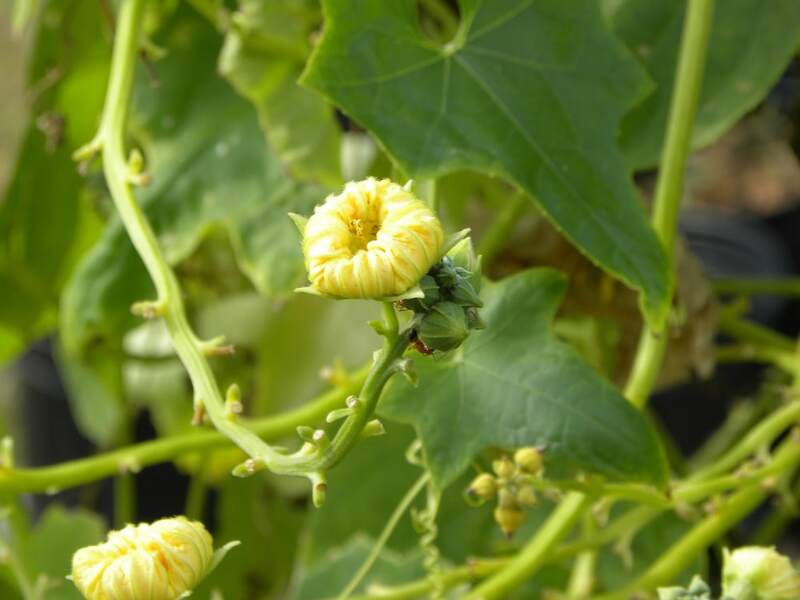 The vines are full of beautiful Yellow flowers that open in the morning and close during the heat of the day! They must have very sweet pollen because first thing in the morning my yard is buzzing with bees, ants, hummingbirds, butterflies, etc. Here are the 2 luffas I brought in today. You can see that one is yellow. It is very lightweight and dried out (Thanks to the heat). This one is ready to be peeled. The other one needs to dry out for a couple days. These are really easy to peel once they are dry. Just peel the outer layer off and give them a good whack. Why a whack? They are full of seeds that you need to shake out. This is all the seeds from just one luffa! Enough to fill the garden next year! 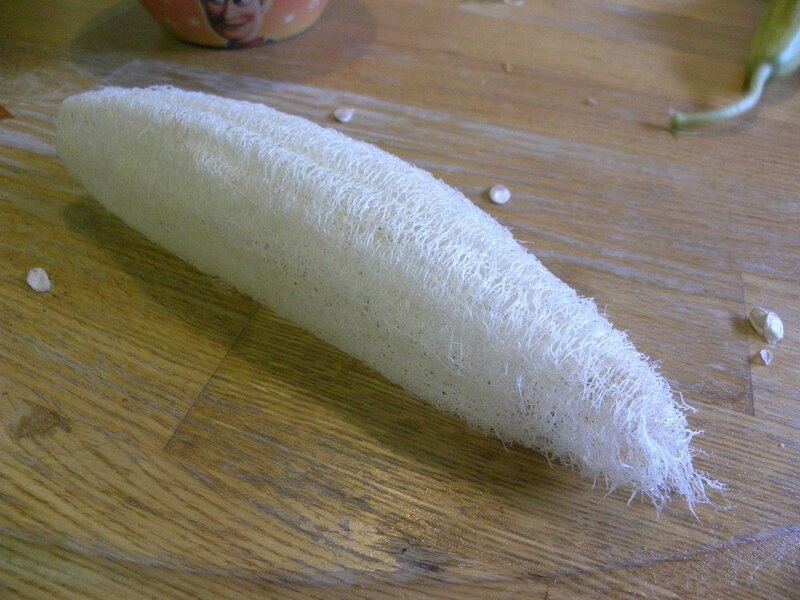 You just shake them out of the luffa once it is peeled. The kids had fun with that part! This is what it looks like when it is all peeled and seeded. Just give it a rinse. You can soak them in a little bleach water, but we had an organic garden ( I would hate to ruin the organic with bleach). That’s so cool! Where do you get the plant/seeds? Melissa. 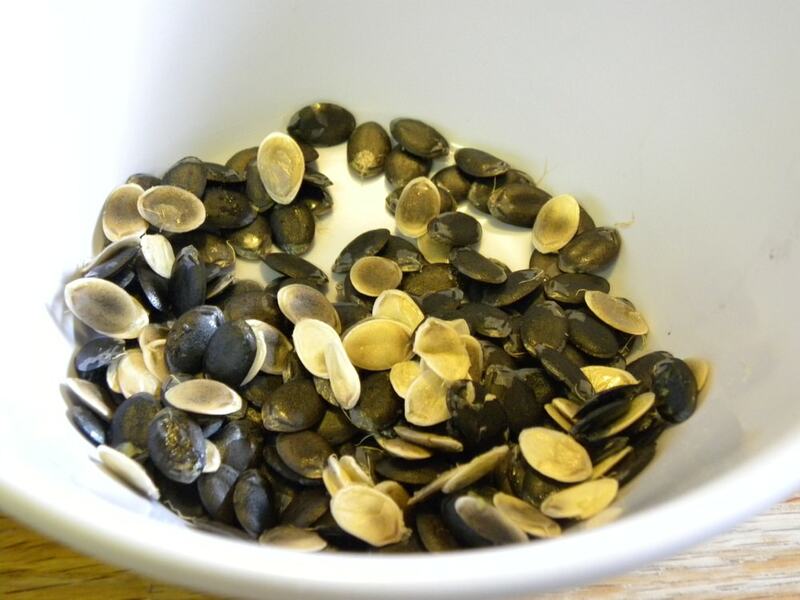 I just bought them at home depot, with my other seeds. They are really easy to find! What? Seriously? That is so neat. I never knew that! Silly question but at Homedepot are they just called “Loofah seeds”? 🙂 LOL! Homemad soaps are SOO easy and tons of fun! I love making the glycerin soaps w/toys for my kids- they are awesome! 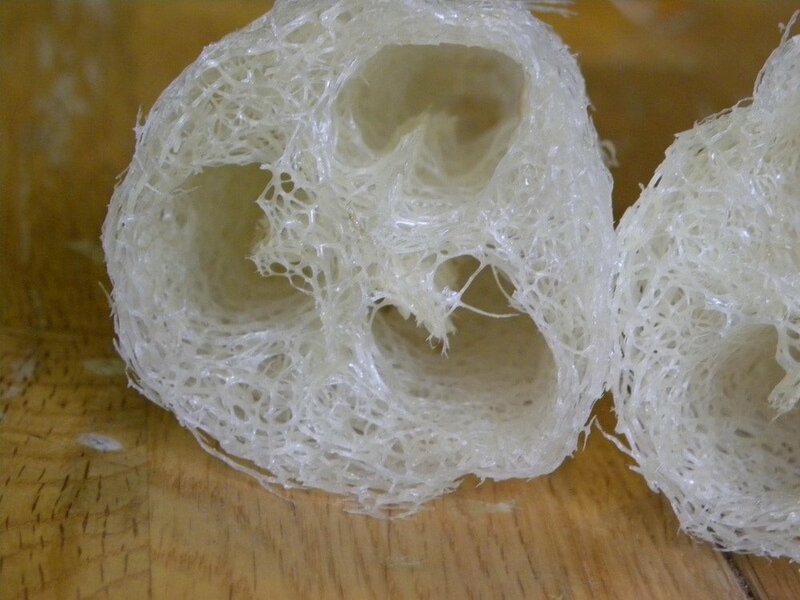 That is totally cool, i to though they maybe came from the ocean like the sponges. Had no idea you grow them. You always have great stuff. I too thought they were from the sea. I’m totally growing these in my garden next year! Pampering presents for everyone next Christmas! How Funny (: This is by far the most coolest thing I’ve learned all week! this is so cool! I didnt know you could grow them either. I thought theu were something more exotic! I think I may try to grow my won next year! I know this is a stupid question but exactly what are luffas used for and how do you use them? I know someone mentioned using them in the shower so I’m assuming they are similar to an exfoliant. Can you still use these if you have very thin sensitive skin? They are used like a shower scrubber. They are great for exfoliating. You can even make soaps with them.